I have a confession. I am not a big reader these days. As a kid, I would read everything and anything I could get my hands on. I loved R.L. Stine, Francesca Lia Block, and all kinds of fantasy books. I would spend hours tucked away in my room reading books. They were in many ways my safe haven & escape. As I got older, I started to trade in my love of novels for a love of zines and I would spend hours listening to records and paging through tattered photocopied pages of text and art instead. I made my own zine for 10+ years. Zines have always given me a sense of belonging and connection and they have influenced so much about who I am - I've learned so much, I moved to Portland largely because of the zine scene here, I spent 5 years helping to organize the nation's largest zine conventions, I have one of my old zine covers tattooed to my arm, and most importantly I have a lot of wonderful, deep friendships that I can attribute to zines. Because zines are really the homemade literary pieces of work that have really inspired me most in my life, I've decided to expand my list beyond just my favorite books and I took some time today to dig into my big collection of zines & document a few of my all time favorites (and my favorite indie comics as well). There was also a time in my adulthood when I also traded in the love of fantasy for interest in non-fiction. For that reason, I think my favorite books are very telling about my family, my struggles, and my beliefs. 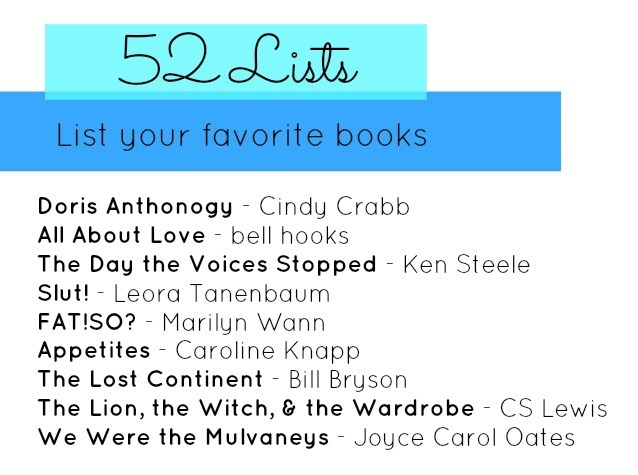 Many of these books are my favorites not for their literary brilliance, but for the way that they spoke to me in just the right way at the right time. I don't think I have read any of these - I'm a tad embarrassed! You should not feel embarrassed at all! If anything, I'm a tad embarrassed that my favorite books are not really the traditional masters. ;) But these are just things that were really special at just the right time & I learned a lot from each of them, so if the subject matter appeals to you - I recommend them. Ah! The Lion, Witch and the Wardrobe was one of my favorite books growing up! I forgot all about it until now. I'm definitely going to pick this up again. Great list! I <3 you. I'm going to check out some of those zines. They sound pretty cool.